You kind of had to see this to believe it. But after the game today, Hideki Matsui went out on the field and did several running drills with his broken left wrist in a plastic cast. He then played catch with his translator, Roger Kahlon. Matsui threw a baseball to Roger, who caught it with a glove then rolled it back to Hideki. They got to the point where they were about 75 yards apart. Matsui was throwing bullets to Roger, who then threw the ball halfway back to Isao Hirooka, the Yankees' Japanese media relations coordinator. Isao then rolled the ball back to Matsui. This went on for a while. Then Matsui started pitching to Roger as Isao stood pretending to be a hitter. He threw around 30 pitches, I would guess. The left fielder has a decent curveball from what I could tell sitting in the press box. Meanwhile about 20 Japanese reporters are watching this. Now Matsui, if he wanted, could go sleep on his couch for all the Yankees care. An injured player is obligated only to stay in condition and do his rehab work. But Matsui's sense of pride and honor compels him to work out like he does. I've never see anything like it from an injured player. 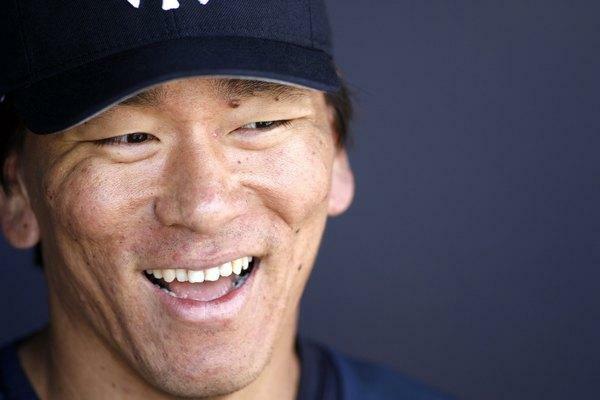 The Yankees claim Matsui won't be back until September. Somehow I'm guessing he makes it back earlier. The most famous athlete in the world right, one with all the trappings of fame including his own ridiculous reality television series, is a talented, mean-spirited left fielder named Barry Bonds. We are supposed to hang on every swing and every word as he gets ready to pass Babe Ruth and then set his sights on the great Henry Aaron. There is the rest of the baseball season and there is the circus that is Bonds. Who apologizes for nothing. Then there is the left fielder for the Yankees, Hideki Matsui, who dives for a ball the other night against the Red Sox and breaks his wrist and apologizes afterward for getting hurt and letting everybody down. The most famous quote to come out of him since he comes here from Japan is that. 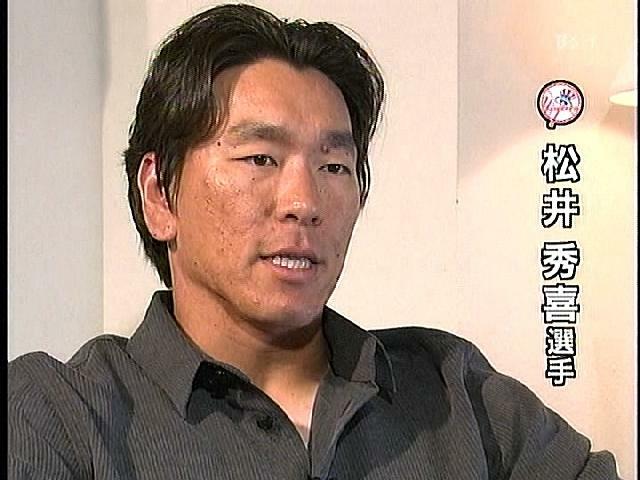 At a time when we demand to know as much as possible about our celebrities, in and out of sports, when it sometimes seems as if it has become some kind of wretched Tom Cruise world, the only thing we know about Matsui is the way he plays the game. One of the most admirable players the Yankees have, and one of the best, tells us hardly anything until he gets hurt. Then he says he's sorry. It is worth pointing out again, now that he is out of the lineup for a long time, that he is as much a Yankee as any of them. In Japan, of course, the coverage of Matsui, even after he has been a Yankee for years, is constant and immense, an army of Japanese media covering Matsui the way Bonds is covered these days. 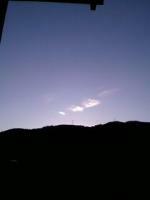 It is different here, where Matsui only communicates with us through a translator, and through his baseball. If you think about it, it wasn't much different for DiMaggio when he played. It frankly isn't all that different with Derek Jeter, who blessedly doesn't go through life thinking he has to take his own temperature for the media every single day. This is a good thing with Jeter. Same with Rivera. Same with Bernie Williams, his whole career. It was why it was so shocking the other night to see Bernie flip that batting helmet at home plate umpire Charlie Reliford. He apologized the next day. Not one of those apologies from modern athletes, the kind where they say they're sorry if they offended anybody. "My actions are unacceptable," Bernie Williams said. There is a reason why he is cheered the way he is at Yankee Stadium, and it isn't always because he has been around the place forever. Williams acts the way old Yankees used to act. So does Jeter. And Mo Rivera. And Matsui, who gets hurt laying out in the first inning of a game against the Red Sox in the middle of May. "I would like to thank Joe Torre from the bottom of my heart for having been considerate of my consecutive games played streak (1,769 games, starting in Japan) these past several years and for placing me in the lineup every day. I feel very sorry and, at the same time, very disappointed to have let my teammates down." 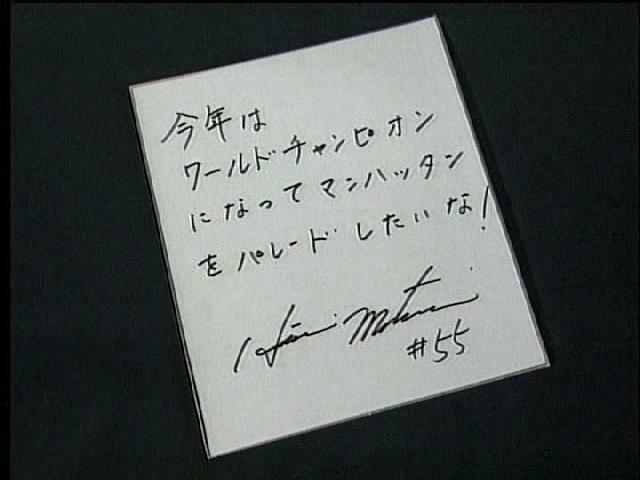 In a sports culture that becomes less civil by the day, Matsui, from another country, brings dignity from another time. In that way, our left fielder is the opposite of the one in San Francisco. The Yankee/Red Sox contest in the Bronx Thursday was finally played to a conclusion in three hours and 59 minutes. It was a tough loss for the team and its diehard Yankee fans, but the heartbreaking moment came much, much sooner. Yankee starter Shawn Chacon, who would struggle with his control the whole time he was on the mound, delivered a first-pitch ball to Kevin Youkilis at 7:08, and five throws later the Red Sox first baseman reached safely when Yankee Captain Derek couldn't control his hot shot into the shortstop hole. A look at the line score will tell you that the Sox failed to score that frame. But I can't help but wonder if Hideki Matsui would have made such a dangerous attempt to corral second batter Mark Loretta's soft liner into short left field if the Sox hadn't gotten something started so soon. Matsui charged the sinking quail with abandon, and with a stretch and a reach he got to the ball just off the grass, but his momentum sent him rolling over his gloved left wrist. That the ball rolled free was disappointing, but immaterial. But that the gritty, gutsy Matsui came up grasping his wrist in pain was anything but. He gamely recovered the ball and held Youkilis at second, and then collapsed in agony. It is two weeks into May and the Yankees have lost two thirds of their vaunted starting outfield to injury, and who knows when we'll see Hideki patrolling left field in the Stadium again? Bernie Williams entered the game to play right field after Matsui's loss, with Bubba Crosby switching to left. Speculation has been rampant how well Williams would handle corner positions after 15 years in center. He did well in helping the Yanks to escape the first unscored upon, making a long run to catch a tricky pop along the side wall with one down, but a tragic Bernie mistake later on would cost the Yanks the game. The Yanks tried to put the loss of their teammate aside and take the game, for themselves, their fans, and Matsui. even if the most stoic among us can takle this loss with a grain of salt, it's hard to find soothing words for the beloved Mr. Matsui and his pain, and how the club will replace the relentless play he brings each night to this game. Late rock icon Elvis Presley's monster hit Heartbreak Hotel hit the charts in the United Kingdom back on May 11, 1959. Fans will continue to flock to Yankee Stadium in record numbers this season, I'm sure. They'll enjoy their time spent in the home office for baseball rooting on the Yanks, just three short years from its scheduled replacement. It's a place of mystique, of aura, of unequaled excellence afield and unprecedented success. Many, myself included, call this place where Ruth, Gehrig, DiMaggio, and Mantle played the Baseball Cathedral. But until Hideki Matsui can play left field again, it will be a bit of Heartbreak Hotel as well. Hideki Matsui didn't just break his wrist last week. He broke the first rule about discussing the incident. "Due to this injury, I feel very sorry and, at the same time, very disappointed to have let my teammates down," the Yankees outfielder said. It was a bit stilted, but so is Matsui's English. The funny thing was he didn't have anything to apologize for. Even New York fans don't usually hold players responsible if they break bones in the line of duty. But Matsui is from Japan, where they emphasize taking personal responsibility. Then there is our culture. Almost any time a star messes up, their first responsibility is to stiff-arm the issue and insult our intelligence. That's done through the famed statement release. It is written by a spinmeister whose job it is to make Larry The Cable Guy sound like Sir John Gielgud. There have been some fine orations lately, like the statement the Dolphins put out after Jason Taylor was accosted by two skinheads. "My wife and I were the victims of an unfortunate incident late last night, but we are both fine. I truly appreciate everyone's concern and am looking forward to enjoying a great day of golf at Derrick Brooks' charity event here in Tampa." Other than that, Mrs. Lincoln, how did you enjoy the charity golf tournament? Taylor hadn't done anything wrong, yet his PR people still made him sound like the Stepford Defensive End. The real classics come when a jock has to apologize. Elton John summed it up nicely in Sorry Seems to be the Hardest Word. It's sad, so sad. It's a sad, sad situation. And it's getting more and more absurd. Elton must have known Delmon Young was going to throw a bat at an umpire. "I sincerely regret my actions in the game yesterday. Regrettably, in the heat of competition my emotions got the better of me." The agent-produced "statement" by the Devil Rays' prospect went on to say that it's never right to throw a bat at an umpire. Remember that, kids. If Young had been truly sorry, he would have issued an apology the old-fashioned way: by standing up in front of the world, taking out a piece of paper and reading a prepared statement with his loving agent by his side. No wait, that didn't exactly work for Terrell Owens. Genuine contrition doesn't require a prepared text. If anything, we'd at least respect players a lot more if they would be honest and say they're not sorry. He's a major-league blowhard, but David Wells was authentic in spring training when he decreed that Bud Selig should resign as baseball commissioner. "There's so much hatred against Bud right now. It's a joke. Nobody likes him." That sounds like Wells. After being sent to the principal's office, these are his words in a statement released by his agent. "Mr. Selig's job subjects him regularly to close scrutiny by all who work in and follow the game. That job should not be made even more difficult by unwarranted personal attacks." It's undoubtedly hoping for too much, but maybe they will learn from Matsui. If you want people to believe you, start by being yourself. Course, I could be wrong about all this. If so, I sincerely apologize and nevertheless look forward to enjoying a great day of golf at Derrick Brooks' charity event. The slugging outfielder, a major run producer in the middle of the Yankees' lineup, lay crumpled on the outfield grass, writhing in agony. It was apparent he had been seriously hurt, his season in jeopardy; a major blow to a team that began the day a game and a half out of first place. 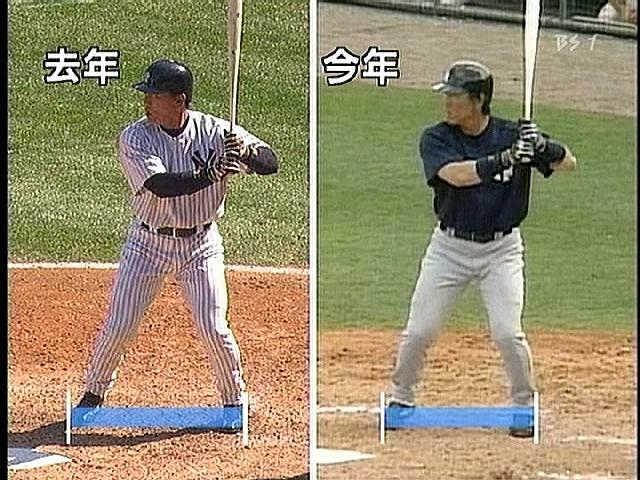 One last observation about Matsui. In a little more than three years, he has proved to be a man of dignity and class, a selfless, team-oriented player thoroughly schooled in fundamentals, possessed with great instincts and a work ethic that makes him a throwback to the likes to Lou Gehrig and Cal Ripken, Jr. It's a tribute to Matsui that he had not missed a game in more than a decade on two continents, and an even greater tribute to Gehrig and Ripken that Matsui's consecutive game streak was only slightly more than halfway toward those Iron Man streaks. Gehrig and Ripken are not only are to be commended for their dedication, they were both extremely fortunate to have avoided the kind of streak-breaking injury that Matsui sustained. 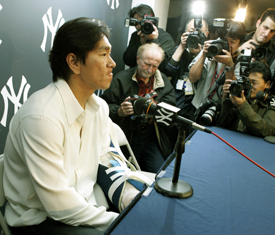 Matsui's injury: Hideki Matsui broke his wrist during a Thursday night loss to the Red Sox. He's set to miss about 3 months. This is clearly a very tough break for Hideki. Hislong consecutive games played streak came to an end. Much ado has been made about this streak. Some have argued that it's hurt the team. Why some people believe that is tough to figure. Playing every day hasn't stopped Matsui from being a productive player with the Yankees. It has only gotten a potent bat into the lineup as often as possible. It's not like people complain about Alex Rodriguez or Derek Jeter being in the lineup constantly. If anything, it can be argued that too much rest is what really hurts Matsui as evidenced by his poor ALDS last season, a stretch that had the Yankees idle on 3 of 8 days. Now those who wanted the streak to end get their wish at a major cost to the Yankees. Matsui's injury is quite frightening. It's the kind of thing that could take a long time to completely heal (if it ever does). 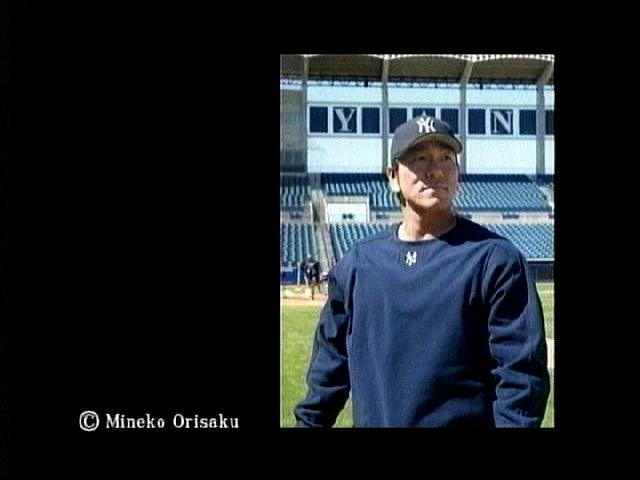 Hideki will be missed. He brings a professional demeanor everytime he takes the field. He plays the right way. Baseball is just as big of a loser as the Yankees because of Hideki's ailment.